Pemani (1925 – 2011) was born Peter Mark Nielsen in Aarhus, Denmark. As a boy, Peter worked as a zookeeper at the Aarhus Zoo. One day the manager of the zoo, a former circus performer, challenged Peter to learn to stand and balance on top of a large ball that had been used in a sea lion act, promising to pay the boy a respectable amount of money if he could accomplish the trick. Peter trained for a month until he could walk on the rolling globe. He earned the reward from his manager, but didn’t stop there. 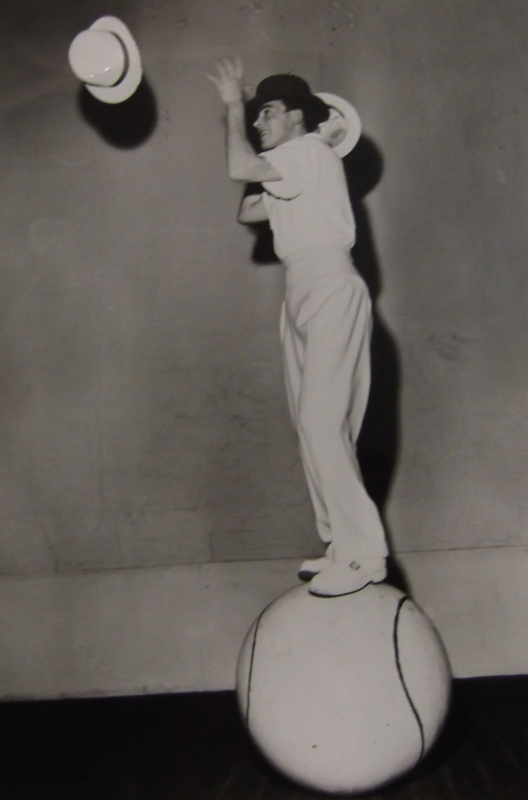 He decided to learn to juggle on the large ball and never looked back. 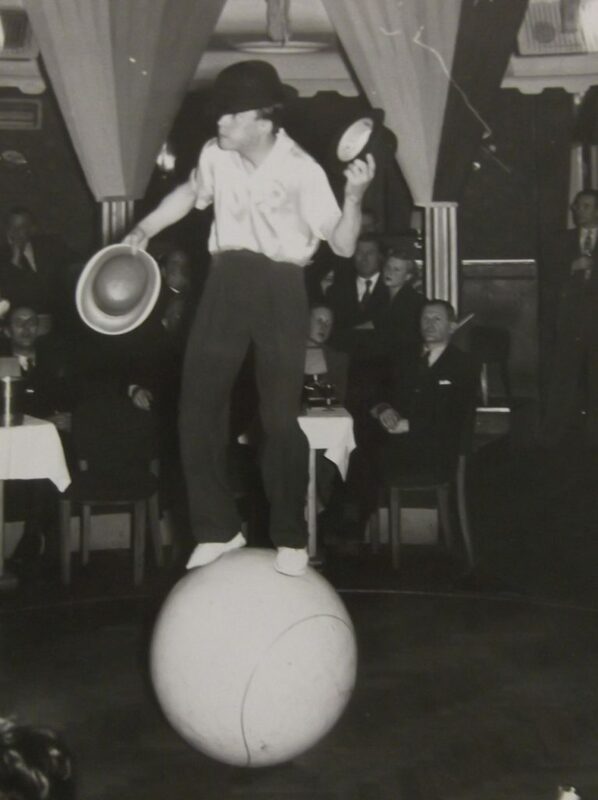 His act featured various difficult combination tricks and other juggling skills, all done on a rolling globe. Peter initially took the stage name Marinello. 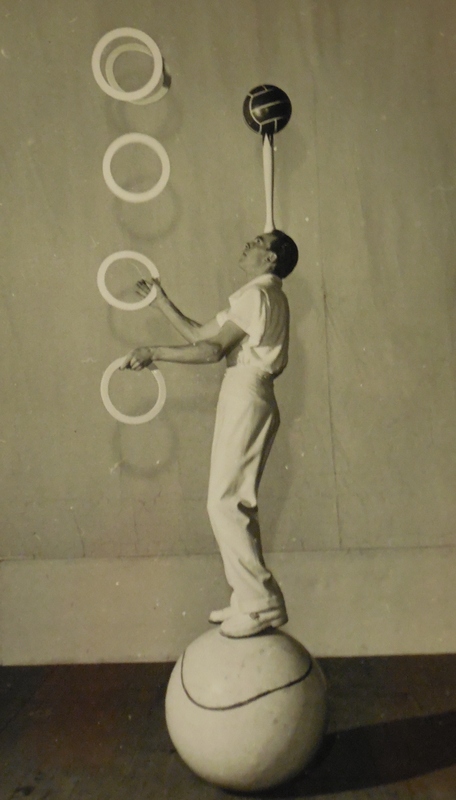 His earliest known contract was with the Danish Circus Louis in 1943. 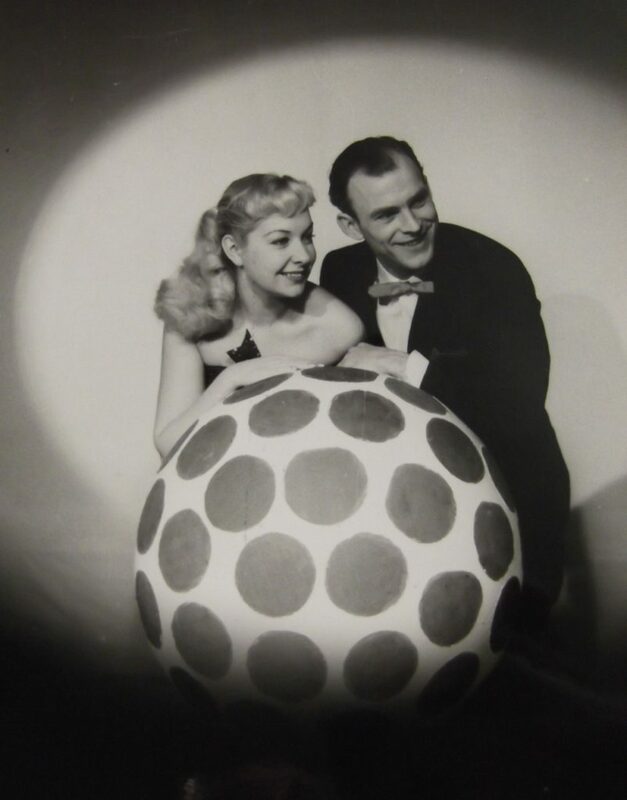 In 1946 and 1947, Peter performed in Norway with Circus Empress. 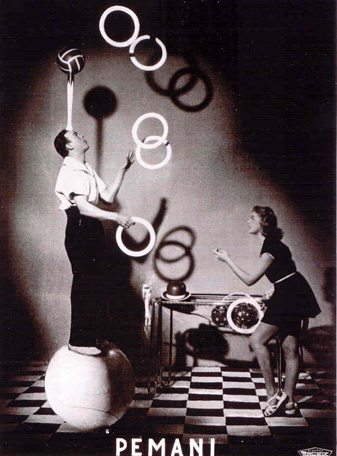 In 1948, he toured with Circus Bruno Bruun in Denmark. All of these contracts were under the name of Marinello. In 1950, he permanently changed his stage name to Pemani. That same year, he performed in a show at the Stockholm Circus Building which was sponsored by the Swedish newspaper Aftonbladet. His performances were a big success and lead to a performance on one of Sweden’s first television programs, which was also sponsored by Aftonbladet. 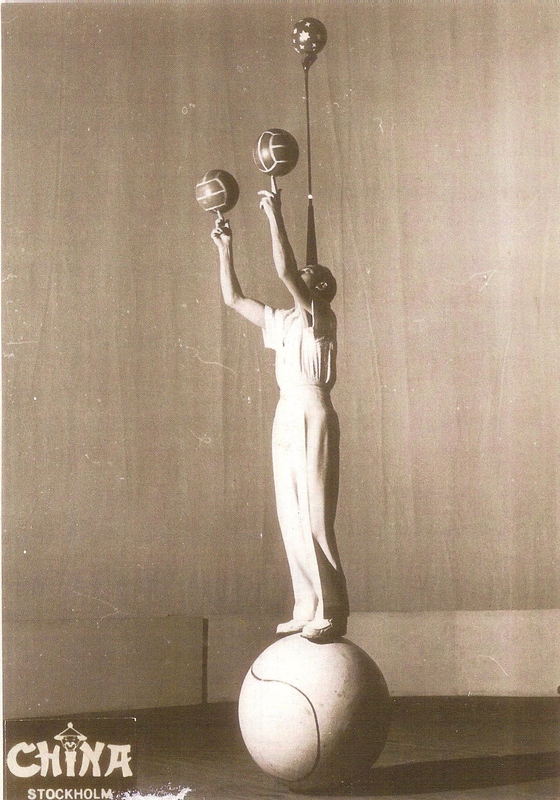 Throughout 1951, Pemani continued to perform in Sweden, including working in Stockholm’s leading music hall, the China Variety Theatre. He then toured the world with his act, traveling to the USA, the UK, France, Thailand, and Australia, as well as additional performances in Sweden. He toured the USSR in 1956 along with the Malmsten Troupe, the famous Swedish acrobatic bicycle performers. 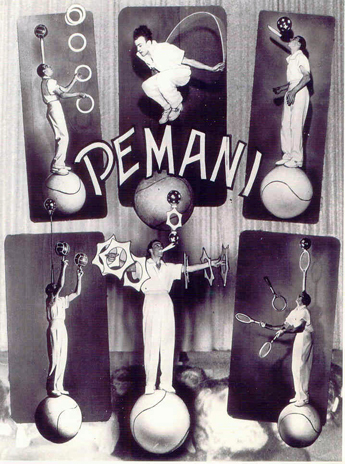 In 1957, Pemani performed throughout Sweden and worked in restaurant Ambassadeur’s famed summer show in Stockholm. 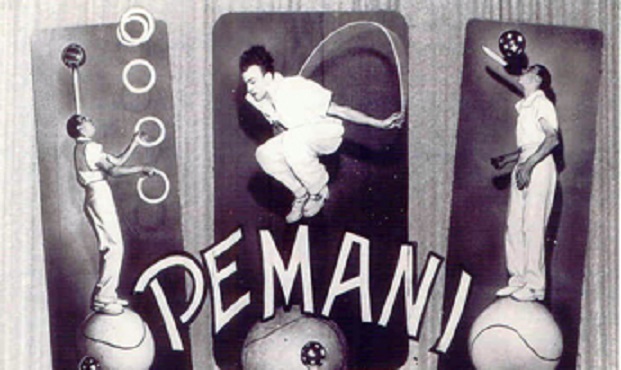 In 1961, Pemani traveled back to the USA to perform in Pacific Ocean Park, an amusement park in Santa Monica, California. He stayed in California for the next twenty five years. In 1986, he went back to Denmark, where he married Birthe Nymand, his love from his youth. 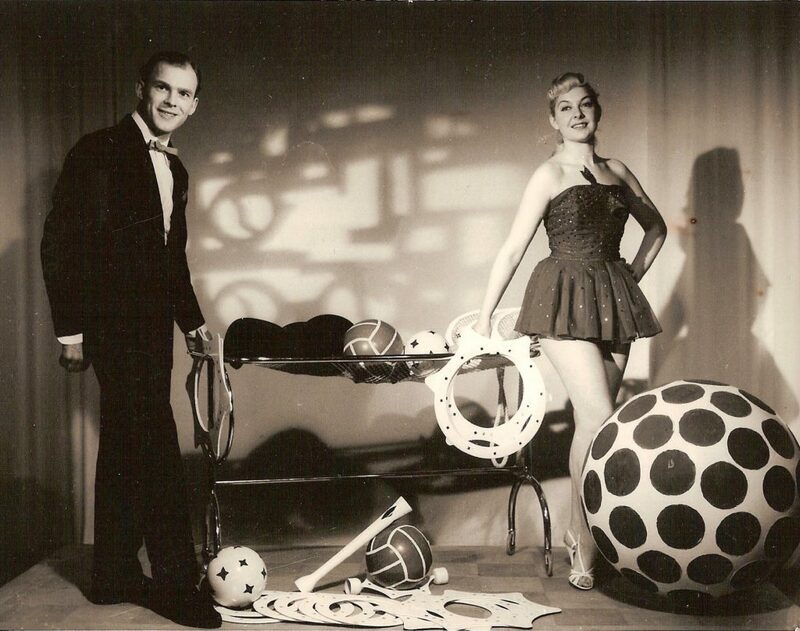 Birthe died six years later, but Peter stayed in Denmark, living in Nykí¸bing Falster for the rest of his life, enjoying retirement and collecting circus paraphernalia.